Do you like fps shooters ? 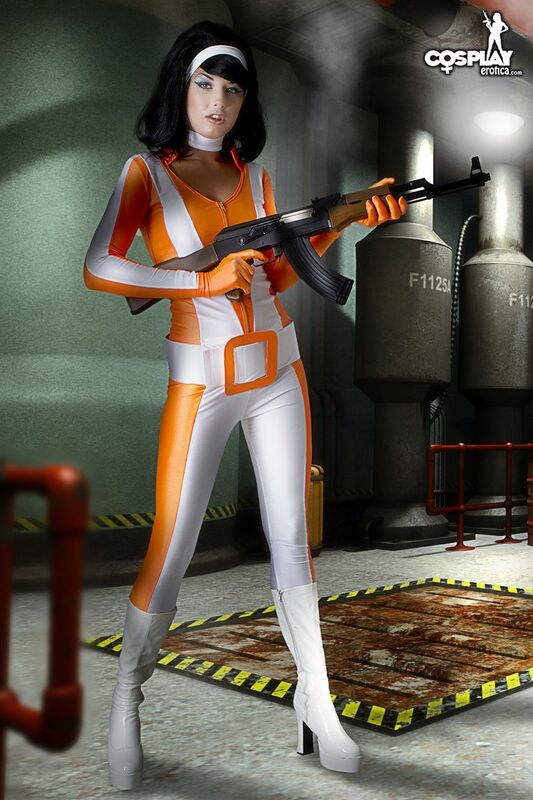 If so than there's a chance you've played "No One Lives Forever" video game. The long legged, slender brunette Betsie is an exact copy of the main character from NOLF, she looks kinda dangerous when holding that AK-47 gun, but fortunately she disarms herself pretty quick and focuses on getting naked. For your information, this set originally comes with 54 full resolution pictures and a HD video.